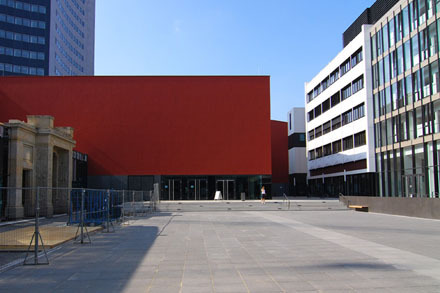 The conference will take place at Campus Augustusplatz. As the name suggests, the campus is located at Augustusplatz in the center of Leipzig. The campus is easily to identify when you watch the picture "Augusteum und Paulinum" on this page. When you reach this place you only need to go through the Augusteum building or take the small passage on the right side of Paulinum. In case you come from Nikolai Church, turn left at Grimmaische Strasse (direction Augustusplatz). On the right side is a passage with an inscription "Universität Leipzig". You can find a picture of the passage on the Side map Augustusplatz. On this side map you can also see the location of the lecture hall building (HS), the seminar building (SG) and the Augusteum with the Auditorium maximum. If you come from Universitätsstrasse, you cannot miss the campus, because it takes one whole side of the street. From this street you reach directly the seminar building. When you walk through it, you will reach a courtyard where Leibnitz welcomes you on a socle. From this place you will immediately see the red lecture hall building. 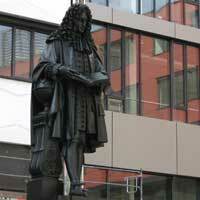 You can see this statue when you come from Grimmaische Strasse or from Augustusplatz. 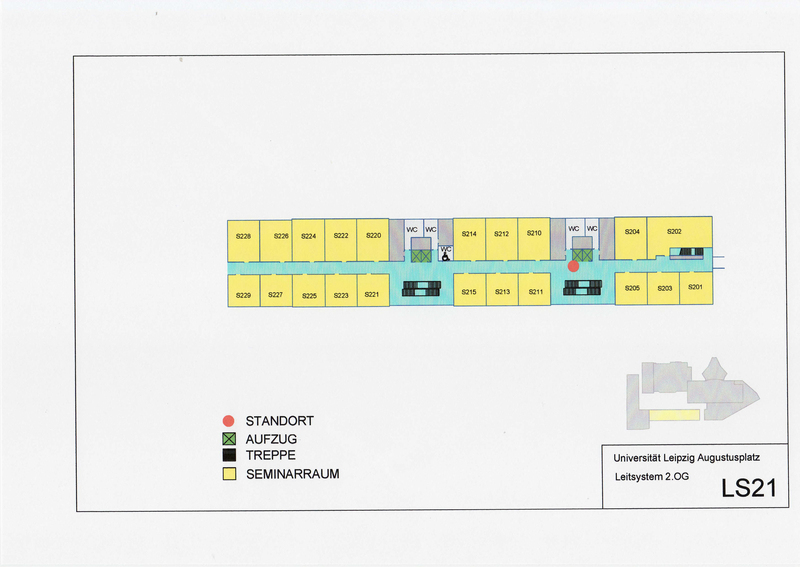 In the lecture hall building, 2nd floor, foyer, you will find the congress office. This is also the place where you find the coffee break and the poster exhibition. There is a direct passage from the seminar building to the lecture hall building, so you can walk to the coffee break without using stairs. 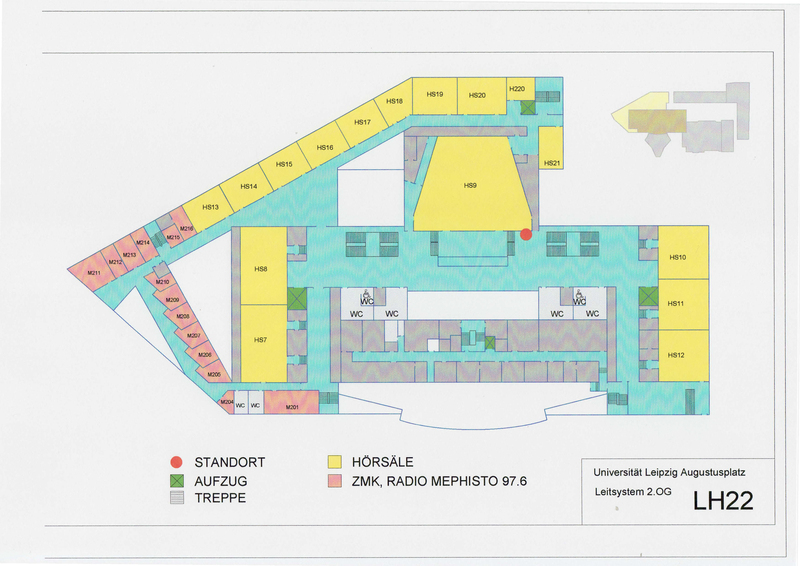 The passage will also be used for the poster exhibition (see the triangular area on the lecture hall building map). The work groups on Friday will work in the Paulinum which is the high, church-like building that you can see on the picture here. You just go to the Augusteum and use the lift to the particular floor. If you have time during the conference, take the lift to the top floor, because you have an amazing view over Leipzig from this place. But please remember that it is no viewing tower but that there are institutes of the university, so it is a work place. This place is not this empty anymore, as you will realise soon.